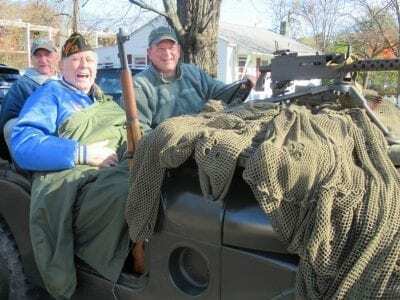 World War II veteran Ray Matthews, 92, of Mahopac, rides in an Army Jeep in Mahopac joined by the driver and 21-year military veteran Mike Speed and Vietnam veteran Joe Madigan. Photo by Eric Gross A chilly morning accompanied by golden sunshine a… Please login below or purchase a subscription to the Putnam County Courier to access this content. 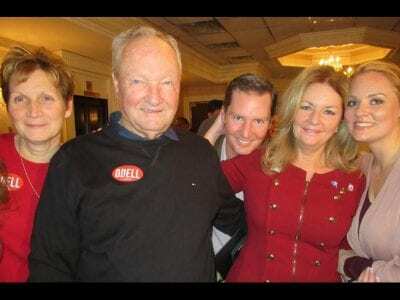 Above: County Executive MaryEllen Odell celebrates her victory on Election night with her dad, daughter, brother and sisters in Mahopac. Below: Maureen Fleming gets ready to vote. 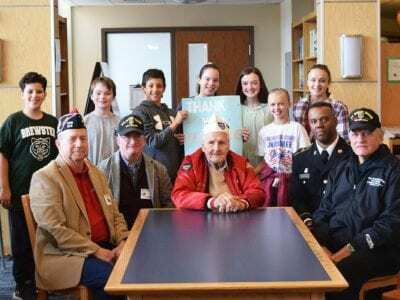 Photos By Eric GrossA historically heavy voter turnout highlighted Ele… Please login below or purchase a subscription to the Putnam County Courier to access this content. Elke Reimann is congratulated by Brewster Transportation Director Mary Smith. 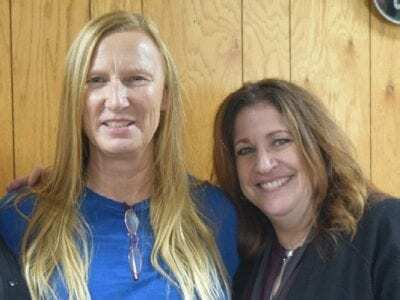 Photo by Jennifer GaryA Brewster school bus driver is being heralded as a hero this week for averting a calamity when a vehicle passed her stopped and unloading bus as thre… Please login below or purchase a subscription to the Putnam County Courier to access this content. Rabbi Sarah Freidson of Temple Beth Shalom delivered an opening day blessing. 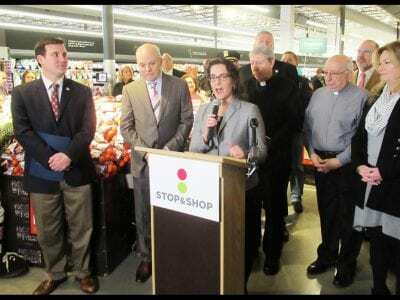 Photo by Eric GrossThe Putnam County economy received a boost Friday when a new Stop & Shop supermarket opened with great fanfare at the Lake Plaza Shopping Center off … Please login below or purchase a subscription to the Putnam County Courier to access this content. Putnam Youth Court is one of the county’s most successful programs where teenagers learn about the Youth Court process, the Constitution, crimes and consequences, introduction to law, confidentiality as well as courtroom roles. The 31st edition of Yo… Please login below or purchase a subscription to the Putnam County Courier to access this content. 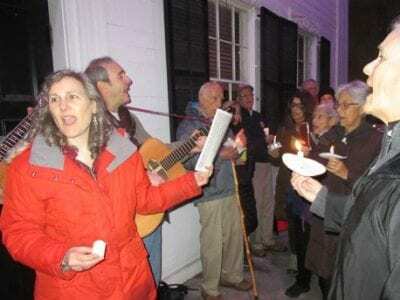 Photo by Eric Gross A vigil Monday evening was held on the steps of the historic Putnam Courthouse in Carmel to remember the victims of violence perpetuated by hate.Christians and Jews from throughout Putnam County gathered on the steps of the histor… Please login below or purchase a subscription to the Putnam County Courier to access this content. 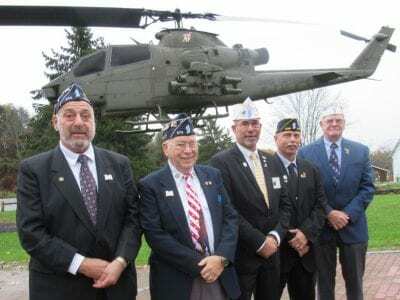 Dale Cusack, Rocky Colavito and Dave Carrido of Putnam American Legion posts greet NYS American Legion Commander Gary Schacher (center) and Conrad Flickinschild, (far right) American Legion Vice-Commander, at the Putnam Veterans Memorial Park, during… Please login below or purchase a subscription to the Putnam County Courier to access this content. Partners With PARC, a non-profit dedicated to securing the financial future of people with disabilities, hosts its 7th annual Hudson Valley Wine & Chocolate Festival Saturday and Sunday at the Patterson Recreation Center. The event, which runs f… Please login below or purchase a subscription to the Putnam County Courier to access this content.